Whilst in Asda’s today (as we HAVE to say in Cardiff! I know it’s only called Asda but it’s the rule!) I saw some biscuits from my childhood that I totally forgot that I used to love. 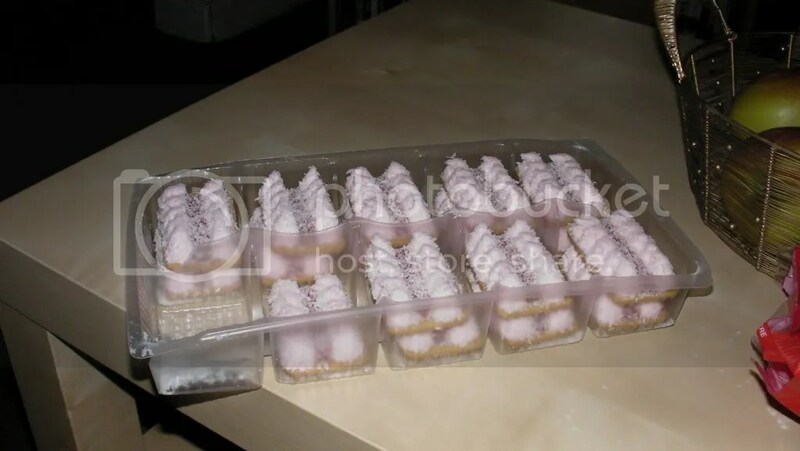 They consisted of a biscuits base, with a layer of jam and then some squirted marshmallow ontop with some coconut sprinkled on aswell! It’s one of those items that when you hear it described you might remember eating them in your childhood but no-one ever seems to remember the name of them! 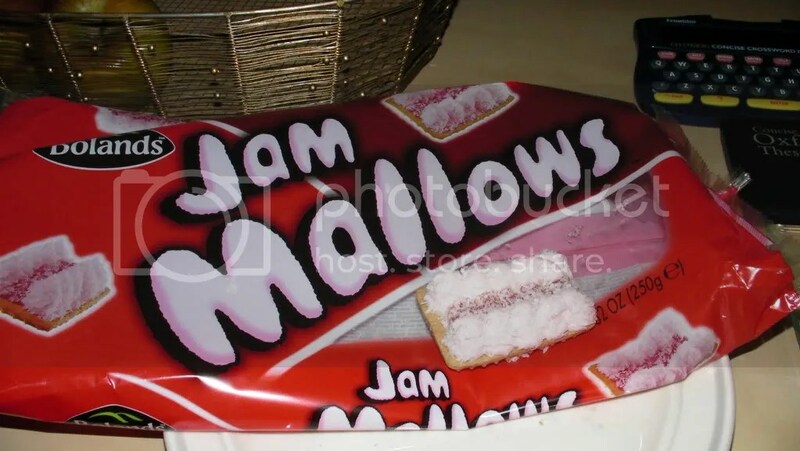 The current name on the packet is Jam Mallows – but i’m sure they wouldve been called something a bit less rubbishy back then? Does anyone else remember them? Brilliant!! 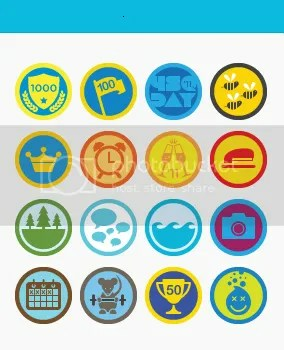 Have been trying to remember these!! Thanks for the info! They were called Strawberry Mellows, and I still crave them. Wish I could find some! I used to get them as a child from Kwik Save in Sheffield. I’m sure they were called Jamboree’s back then. Ring any bells? Thankyou thankyou thankyou!!!! the girls in work thought I was nuts when i tried to describe these!!! For some reason I thought they were called “elephants fingers”? Don’t know where I got that from! LOL @ Biscuit boy Richard! Im sure I will now have to call them wee and poo biscuits from now on! Its amazing that noone still really knows what they were ever called! oh my gosh…. I loved these marshmallow treats as a child. So happy to find others who love them as well. I tried looking for it at Publix and Walmart but no luck. The biscuit was soft and sweet and oh so delicious. Does anyone know where I can get some. I don;t even know the correct name or brand. I do not remember them called this, but I am at a loss as to what they were called, BUT I LOVED THEM…..
‘Bobby’s’ make them which is usually a brand sold in your local corner shop. They are called ‘Mini Mallows’. I came over all Marcel Proust this morning when I recollected Jamboree biscuits while I was driving to work – took me immediately from the M25 straight back to my granny’s living room and her biscuit tin. I’ve just found this page following a Google search to find a picture of them. Good to see you can still get them, albeit under a different name. The original name (from when I was a child in the 70s/80s) was definitely Jamboree. Can anyone explain what the off-white opaque Spangle was meant to taste of? What’s the name of the new Jamboree biscuits? werent they called munch mallows? They were called JAMBOREE biscuits and were yummy!!! Yes! Jamborees. I loved these biscuits. They were sooo good! We always had them at birthday parties. Jamboree was the name. Huntley and Palmers made them. That brand was purchased via via by Nabisco. Jamboree was produced in the huge plant in Aintree. The whjte sprinkles are cononut. They tasted good and were an exclusive and expensive product.